Avalon Meydenbauer is a collaboration between Avalon Bay Communities, Safeway and Milliken Developments. 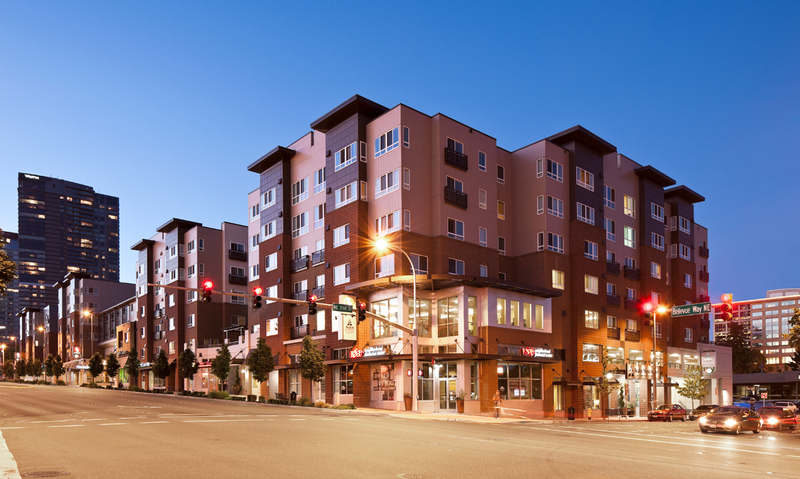 Completed in 2008, Avalon Meydenbauer is located at Bellevue Way and NE 4th Avenue in the heart of downtown Bellevue – an upscale metropolitan suburb just east of Seattle. 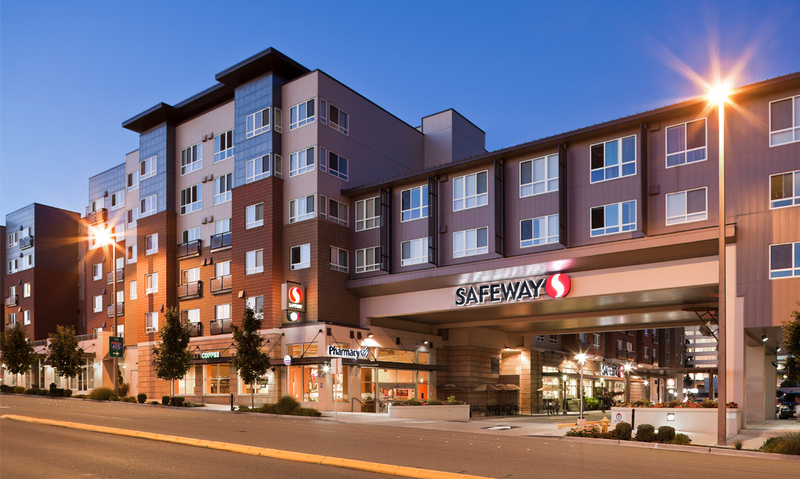 This urban, mixed-use concept consists of 360 luxury apartments atop a state of the art 55,000 square foot urban Lifestyle Safeway store and 20,000 square feet of street front retail space along Bellevue Way, NE 2nd Street and NE 4th Street. Avalon Meydenbauer has added a sophisticated flavor to downtown Bellevue providing a unique opportunity for retailers to take advantage of the dramatic drawing power of Bellevue Square.